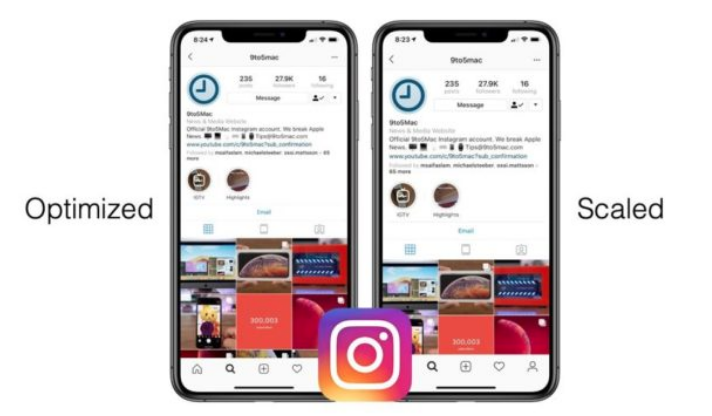 Instagram users on iPhone XS Max and iPhone XR observed a strange behaviour on the App suddenly after the recent update. The App for the photo-sharing platform looked unusual and all the icons seemed to be bigger just like how it was before the Instagram fixed the problem for the new iPhones. Unfortunately, the company seems to have done it on purpose as it could not run the App on iPhones running older versions of iOS. iPhone XS Max users are very unhappy and have complained about it all over again on social media. The reports claim that Instagram had it’s development teams use the older version of Xcode to compile and submit the update to the App Store. The iPhones which are still running iOS 9 and below cannot run the optmized App as it can cause errors and frequeent crashes. As a result, Instagram took the bold step to roll back the App to it’s previous version and went forward with the update. Now I know for sure it’s not just me: @Instagram for iOS just un-optmized for iPhone XS Max (and presumably XR) screen resolutions in their latest (75.0) update.